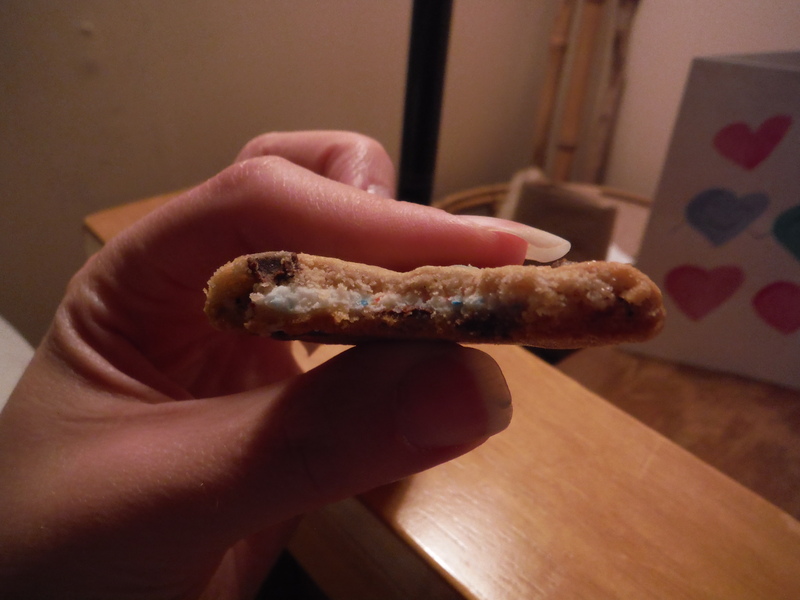 Last week I reviewed one of Chips Ahoy!’s new chewy filled cookie flavors – Oreo crème filled. This week I’ll take a look at the second new flavor – Birthday Frosting. From the outset we were more skeptical of this flavor. Frosting can be a wonderful thing, but many times mass produced frosting is filled with chemicals and just tastes weird and fake. So we didn’t have much hope for the frosting that filled these cookies. But we tried them anyway, for you, dear readers (and also just because we really like cookies). So how did it go? Surprisingly well! Unlike the disappointment we faced with the Oreo crème ones, with these we were pleasantly surprised. 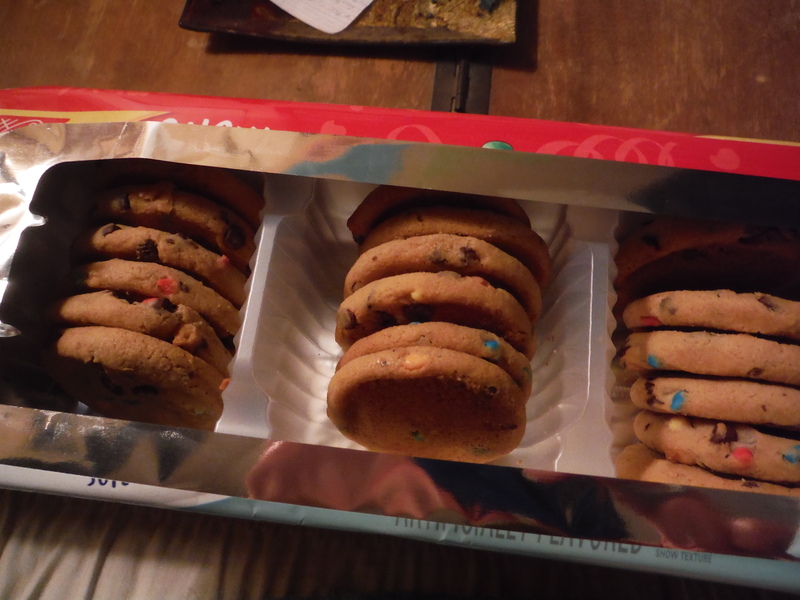 Even from the outset these cookies set themselves apart better from just regular chocolate chip cookies by having chocolate chips, and colored candy coated chips. In real life the chips don’t look as impressive as on the package – they look more like sprinkles. But they still add a fun touch. 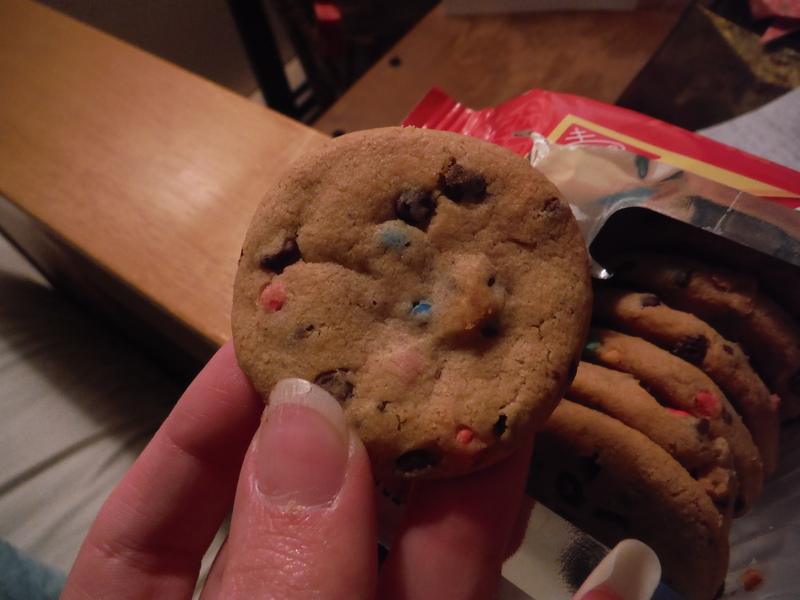 The frosting inside is vanilla, with little multicolored nonpareils. And it was a lot better than we were expecting. While the ratio of frosting to cookie is about the same as the Oreo crème ones, the flavor is different enough to make it stand out. The frosting is also creamier, which serves as a better contrast to the texture of the cookie. It seems a bit strange that two cookies so similar in concept can end up with such different results, but these are indeed superior to the Oreo crème filled ones. I guess it just goes to show that Oreo crème should stick to Oreo cookies, but frosting can go good with anything. 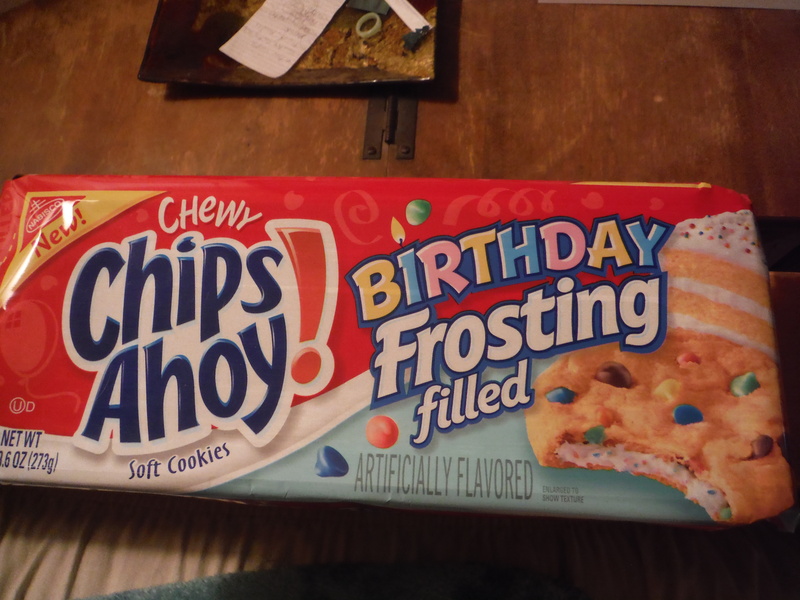 Do I recommend Chips Ahoy! Birthday Frosting Filled cookies? Yes. Posted on June 27, 2014, in The Snack Report and tagged cookies, dessert, It's a winning combination, pleasant surprises, review, snacks, yummy. Bookmark the permalink. Leave a comment.